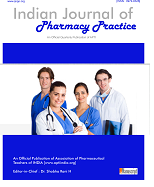 ASSOCIATION OF PHARMACEUTICAL TEACHERS OF INDIA - an association found by the pioneers of Pharmacy education in India in 1966 by leading personalities like Prof. M. L. Schroff, Prof. G. P Srivastava and others, has come a long way in creating better intercommunication and promotion of excellence in pharmacy education. Through its tailor-made mission and objectives, the association has provided a single platform in bringing together teachers of pharmacy education from all over the country. This has helped in the achievement of excellent standards and to develop new technological methods in pharmacy education through the exchange of views amongst the teaching members. The emergent world today, with unbelievable sophistication under its belt, demands for technically sound and highly knowledgeable pharmacists. The contribution of a teacher is thereby quite demanding. A Teacher apart from being an educator also contributes to science as a researcher, helps in business development as a consultant to pharmaceutical industry and also creates social awareness as a community pharmacist. APTI today has more than 10000 life members apart from a sizeable number of associate life members and student members from all over the country. The association with its activities is providing a robust platform for the bouncing avant-garde ideas of the members in the academic fields through newer teaching methodologies, fabrication of tools, computer aided drug designs and other applications through interaction with industry, hospitals, regulatory bodies and community pharmacy. Although many of the goals have been achieved, many more are yet to be conquered. More heights need to be scaled. The efforts of the association in encouraging and supporting its members achieving such milestones, have always been well appreciated. APTI is one of the federating bodies under the umbrella of Indian Pharmaceutical Congress Association (IPCA). APTI has twice organized the Mega event Indian pharmaceutical Congress ( Varanasi 2007, Chennai 2012) which attracts more than 7500 participants from the globe.